There are more than 3,000 counties in the United States. It’s hard to pin down the exact number, however, because at the state level there seems to be a process of ongoing consolidation of county services in various regions. In terms of national UFO sighting reports, I thought it would be fun to see which counties had the most sightings, based on reports from 2001 to 2015. First, California has the most sighting reports at 15,835 during the sample period. Los Angeles County, with a population of about 10 million, has the most sightings, with 3,212. 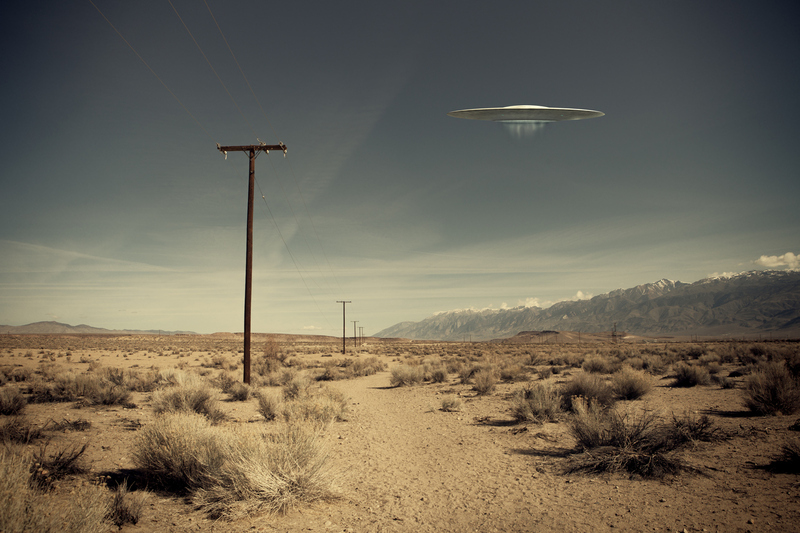 Second place is Maricopa County, Ariz., with 2,523 UFO reports. Note the vast difference in county population bases. Maricopa County has 78 percent of the UFO reports that Los Angeles County does, but Maricopa has only 40 percent of the population compared to Los Angeles County. Cook County, Ill. (third place), logged 1,431 sightings; San Diego, Calif. (fourth), had 1,393; and King County, Wash. (fifth), had 1,393. These three counties are within the 1,400 range, yet the populations are vastly different: Cook County at 5.2 million, San Diego at 3.3 million and King County with 2.1 million. Orange County, Calif., sits in sixth place with 1,271 sightings, followed by Riverside County, Calif. (seventh); Clark County, Nev. (eighth); San Bernardino County (ninth); and Harris County, Texas (10th). Riverside and Clark both had 958 sightings, San Bernardino had 836 and Harris had 792. Yet while Riverside, Clark and San Bernardino had county populations averaging 2.2 million, Harris, the lowest of the four in terms of sightings, had a population of about 4.5 million. Horry County, S.C. (11th place) had 629; Multnomah County, Ore. (12) with 621; Miami-Dade County, Fla. (13) with 619; and Broward County, Fla. (14) hosting 590. Yet the population range is eye-opening: Horry County only has a population of about 309,000 and Multnomah County has 790,000, yet Miami-Dade County has 2.6 million and Broward County has 1.89 million. I agree that population is a contributing factor to high UFO sighting numbers, yet there is something else that seems to drive the bigger sighting volumes in lower population areas. One concept that has been suggested is the notion that certain locations have had notable sightings in the past. Los Angeles County has had UFO sighting reports since the 1880s and, of course, they had the unprecedented Battle of Los Angeles on Feb. 25, 1942. And Maricopa County was the location for the March 13, 1997, “Phoenix Lights” mass UFO sighting. Is there a generational conditioning at play here? Are people simply looking up more than in other areas of the country because something amazing happened in the past? Perhaps somebody in the behavioral sciences can study this phenomenon. Linda Moulton Howe Live 1/03/2018!